Damage wrought by oil leaks and pollution are on everyone's mind right now. The escalating harm hitting the gulf of Mexico is enough to make you wish that environmentally savvy heroes such as Aquaman and the Swamp Thing were real so they could help clean up the whole mess. But just as their are heroes dedicated to protecting our planet, there are those baddies who seem determined to poison it via all manner of pollutants. With that in mind, here's a list of a few evil villains who are all effectively walking bio hazards not only to people but to the environment around them. So an industrialist and three scientists decided they wanted to be as powerful as the Fantastic Four, except, you know, evil. They recreated the FF's famous flight, deliberately flying into the same strange cosmic ray storm, except they had no shielding on their ship to ensure maximum exposure. 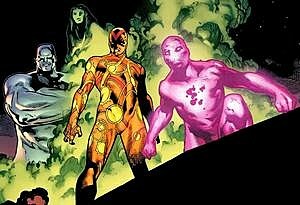 Crashing to Earth, they became the U-Foes (based on the old school pronunciation of the term "U.F.O.s"). James Darnell called himself X-Ray because now he was a walking fall-out, able to deliver radiation blasts so powerful they could hurt the Hulk. Definitely the last guy you want wandering through a forest or standing too close to you. Can we say "sterility" boys and girls? It's tough to get rid of toxic waste. This one guy, Dr. Norton, had the strange idea to dump all the waste from his experiments into a man-shaped plastic contained he nicknamed "Chemo." When he dumped a failed growth formula in there, a chain reaction brought the whole thing to life and we got a giant, toxic Frankenstein monster. Chemo can make you deathly ill just by touching you. 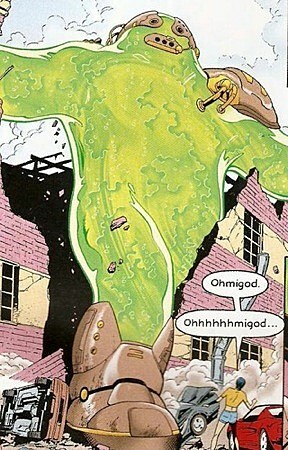 When he was dropped onto the city of Bludhaven, he wiped out most of it in a nuclear blast. If this guy just walked into the edge of the ocean for a quick dip, you can be sure you've got yourself an epic environmental disaster. Okay, much as I didn't like the cartoon, we would be foolish not to mention SOMEONE who fought Captain Planet. 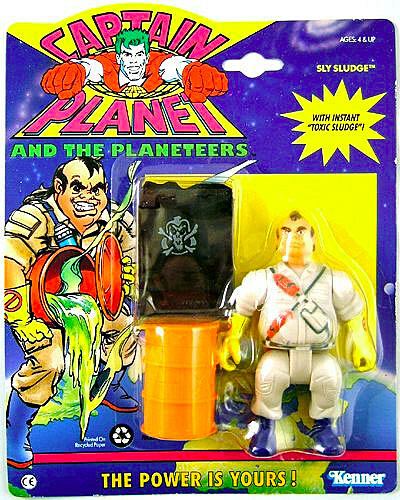 Sly Sludge was a guy who had the job of disposing dangerous waste. But Sly wasn't so much into long-term thinking or safety regulations, so toxic sludge and barrels of oil could very well wind up in your local lake or buried under some playground at an orphanage. Helping him with this were his henchmen Tank Flusher III and Ooze. It's great when people of similarly unfortunate nicknames can work together. Later on, of course, Sly helped create the villain Captain Pollution. Name pretty much says it all. If Exxon was even more evil and occasionally messed with superheroes, they would be Roxxon. The Roxxon Energy Corporation (with subdivisions Roxxon Oil, MetroBank and the Brand Corporation) is a big evil mess. Roxxon wants to make money no matter what. Not only do they do whatever illegal things they can to avoid government regulations and safety inspectors, they have done their best to halt alternate energy research centers and anything else that might hurt their profits. When Howard Stark was getting a little too successful, Roxxon agents had him and his wife Maria killed, making it look like a car crash. 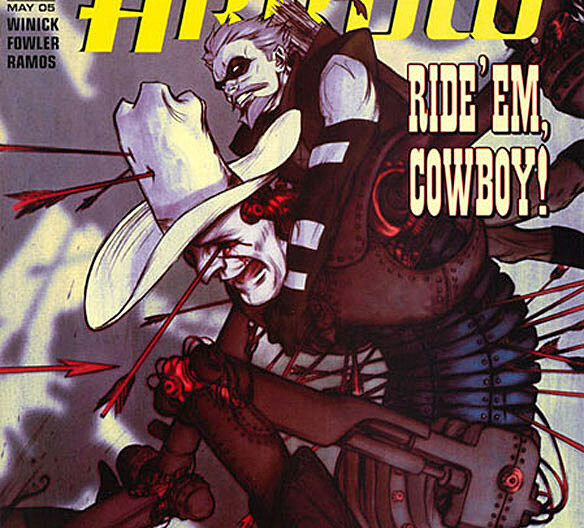 Over the years, they've also tried to take down or just flat out kill Howard's son Tony Stark AKA Iron Man. 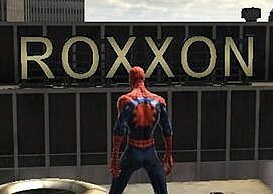 The Roxxon Corporation has gone against superheroes on many occasions. The Black Panther fought Roxxon, aided by Spider-Man and Iron Man, after it tried to bankrupt the nation of Wakanda by creating artificial vibranium. War Machine face off against Roxxon agents after they massacred a tribe of Anuquit natives so there would be room to build a new oil pipeline. Roxxon is everything you could be afraid of when it comes to corporate corruption. Mr. Burns and his nuclear power plant are notorious in the town of Springfield. The man has broken safety regulations constantly, leading to two-headed dogs and employees who glow in the dark. His illegal dumping has caused children in playgrounds to wind up bald, fish to gain a third eye, and squirrels to suddenly develop laser-vision. He's turned various animals into clothing just because and he once blocked out the sun because he hated solar energy. 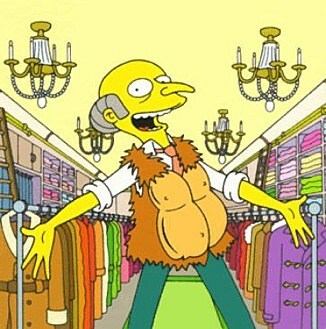 If Mother Earth has one great foe, it is C. Montgomery Burns.